Thought I would chronical some of my process. 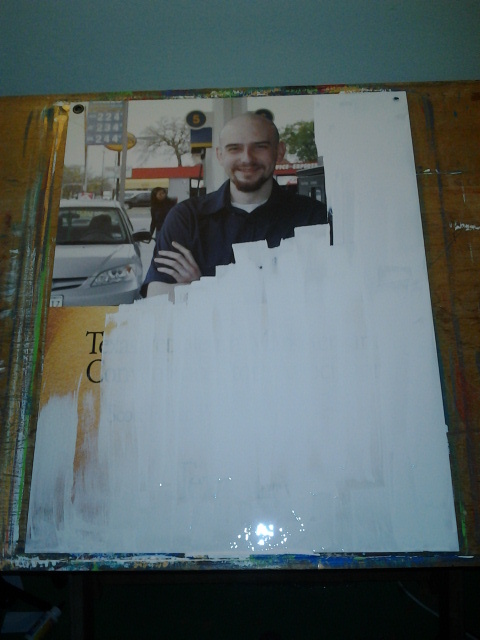 A lot of my large pieces start off like this, recycling advertising panels. 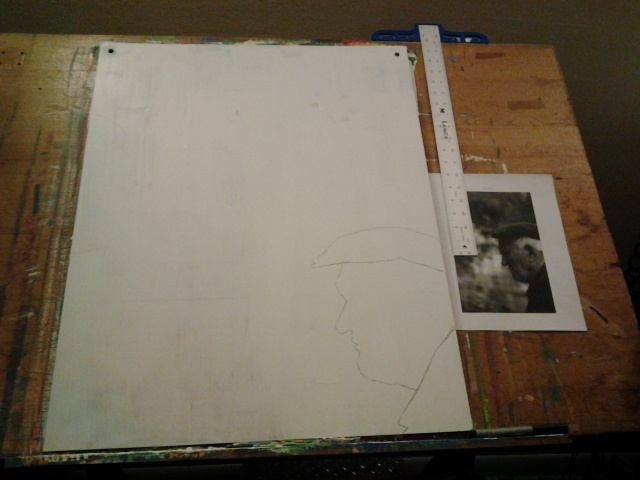 A good coat of primer and I've got a canvas. A lot of my large pieces start off like this, recycling advertising panels. A good coat of primer and I've got a canvas. Paint? 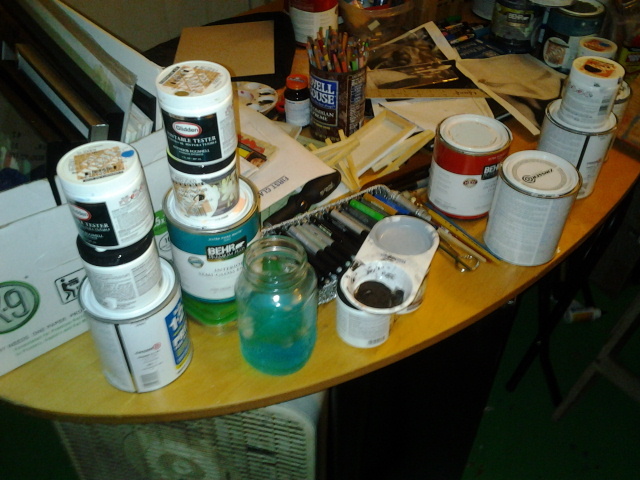 Yea..... Oopps paint and paint samples. Yea, $7.00 for a gallon that I'll use for TONS of projects. That'll work. But you have to have some quality. I'm a inker. That's just what I do. Faber-Castell pens are absolutely required. Seriously. I can use these on ANYTHING, from plastic, acrylic, transparency and they blend ohhhh so well..... 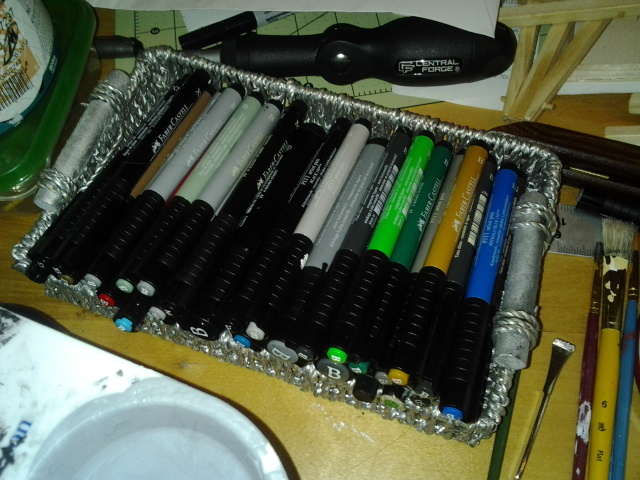 I <3 #Faber-Castell	pens. I outline the area in a light grey, just to start getting a idea of it. I normally have a reference photo, something I can go back to for lighting and shading. 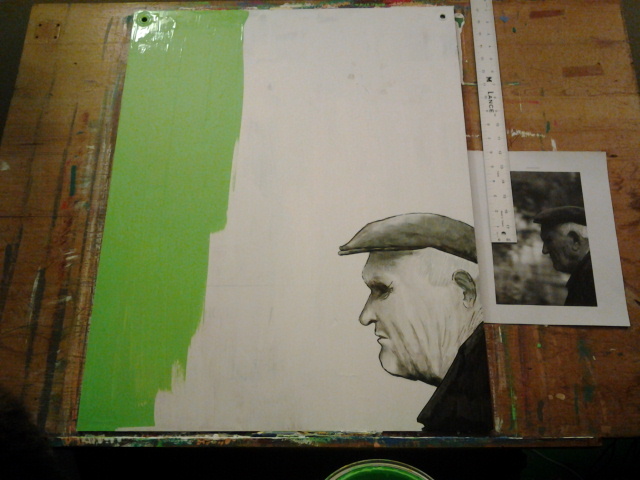 Once I've got the person in there, then I start bringing in the background. I keep it a simple, solid color, or a few to break up different plains, like a wall and a floor. I don't want to bring in too much. Instead I want the audience to fill the piece with their own narrative. then, after some touch ups, it's done.